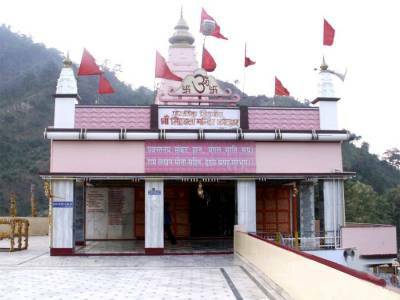 Sidhbali Dham is an ancient Sidhpeetha temple, dedicated to Lord Hanuman and located in Kotdwar in Pauri Garhwal of Uttarakhand. 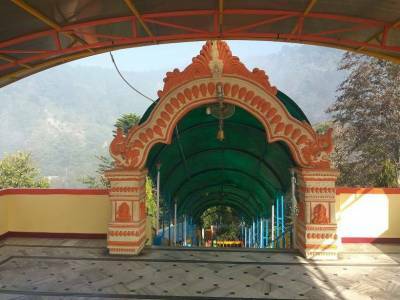 The temple is en-route to the popular hill station Lansdowne. The centre point of the Shree Sidhbali Temple, with a beautiful Lord Hanuman Idol standing tall on a cliff, amidst the extraordinary view of Garhwal Himalaya's. Inside the Sidhbali temple, there are the two natural Pindi (sacred stones, one is related to Lord Hanuman and second is related to Guru Gorakhnath Ji), which is to be appeared on its own (Swayambhu) in ancient times. The Lord Hanuman statue was established later. 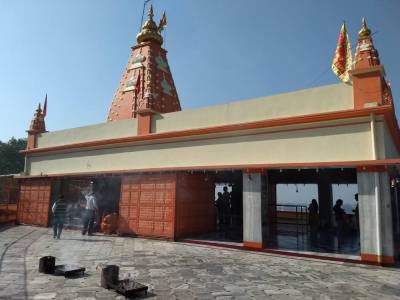 The Sidhbali Temple has a tradition for Bhandara (free food) where people provide food for poor (and all, including the devotee's) once their wish gets fulfilled. The view from the temple verandah is splendid, you can see a small river and the curvy way over the mountain that go directly to a small hill station called Lansdowne. All in all, it is Peaceful, sacred and spiritual place. Sidhbali temple is a Hindu shrine but is also popular in other faiths religions. The grand Shri Sidhbali Mela is held December every year at the temple. During this time the tourists/devotees flock in large numbers and offer prayer. The Sidhbali Temple is located top which is an 150+ step stair travel for the visitors from below. The Sidhbali temple is well connected by roads to various other parts of the state and nearby states. The Sidhbali temple is about 5 KM from the main market, about 70 KM from haridwar, about 90 KM from Rishikesh and about 235 KM from Delhi. 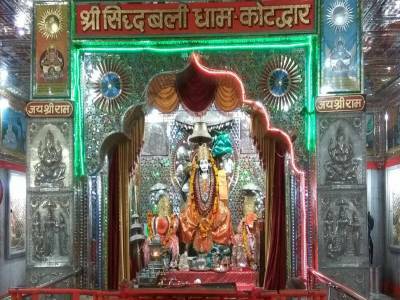 Sidhbali temple is one of my favorite temple of lord Hanuman. I would Love to visit again. 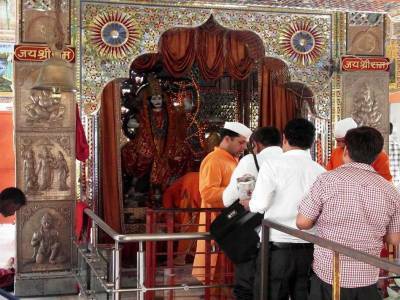 Get quick answers from travelers who visit to Sidhbali Temple.